Small Business 401k Plans – What Is the Difference? 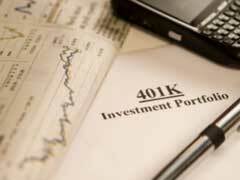 It’s not a surprise that sponsoring a 401K plan is a costly matter for many companies. Some small businesses with 100 employees of less simply can not afford sponsoring a conventional 401K plan coming with hefty administrative fees. In order to provide retirement saving incentives and attract talented employees, small businesses have an option of offering simple 401K plans for a low administrative fee with a considerably simplified set of rules. Small business 401K plans allow smaller companies and their employees to take advantage of tax deferred retirement savings, build stronger worker incentive programs, help keep exemplary employers and establish strong investment base in stocks, bond index funds or high yield corporate bonds. In addition, you can take advantage of diversifying your retirement assets by investing in so called no load mutual funds that are not associated with any mediator fees allowing you to maximize your investments. Smaller business 401K plans or as they are called SIMPLE 401K come with much lower administrative costs, are not subject to a complex set of rules and regulations associated with traditional 401K plans. Under smaller business 401K rules, you have an option of maintaining your own accounting of retirement contributions or hiring a third party who will do it for a small fee. More detailed information on setting up a simple 401K and specific rules that apply to this type of retirement tool could be found at www.irs.gov. Unfortunately, only estimated 16% of smaller businesses who employ 50 or less associates are involved into small business 401K plans, the rest miss great growth potentials, tax advantages and might even lose talented employees to other companies who otherwise offer retirement incentive plans. If you are a small business owner or simply work for a smaller company, a retirement savings calculator is a great tool that can help you plan how to reach your anticipated retirement cash flow by answering a series of simple questions. 401K Withdrawal Rules - Why Is It Better To Leave Plan Alone?